Today’s question is from an article I wrote entitled, “Why Low Blood Sugar Can Be BAD For Your Health”. Now, in that article, I mentioned different foods to eat and avoid and I stated how you want to “eat white rice and NOT brown rice”. I didn’t get into the details, but I immediately got a lot of questions asking “why”. And this is obviously a great question because most of the so-called “experts”, doctors, and nutritionists keep talking about the benefits of brown rice and that you should avoid white rice. “has lower glycemic index” and thus, doesn’t affect your blood sugar levels as much — but this too is WRONG. You can read about how you can actually lower BOTH the glycemic index AND the calorie content of white rice, depending on how you cook it, in this article: A Simple & Proven Way to Cut Rice Calories by 50%. Thus, you can eat rice and not worry about it. Anyway, as you can see there’s really no benefit with brown rice, compared to white. In fact, these so-called “experts” fail to mention how brown rice actually has MORE calories and carbs! … NOT good if you’re trying to lose weight or keep your blood sugar stable, right? But, here’s the REAL problem with brown rice and how white rice is better AND safer for you. Brown rice has Phytic Acid, which is an “anti-nutrient”. Phytic acid is a compound located in the rice bran – the part that gives brown rice its color. In fact, this is true with most other “whole grains”. If you’re suffering from any food intolerance, allergies, sensitivity, or GI distress symptoms (bloat, gas, etc.) 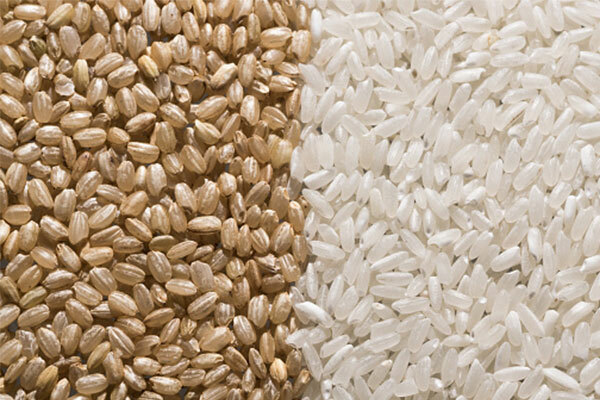 despite healthy eating… it could be the whole grains that you’re eating and it’s better to switch to eating white rice. And most people are allergic to lectins and cause inflammation in the body. And if you’d like, I can also do an article about the toxicity of lectins. And you don’t have to take my word for it or even the scientific facts. Just stop and think about it yourself. They give WHITE rice to infants, NOT “brown” rice. 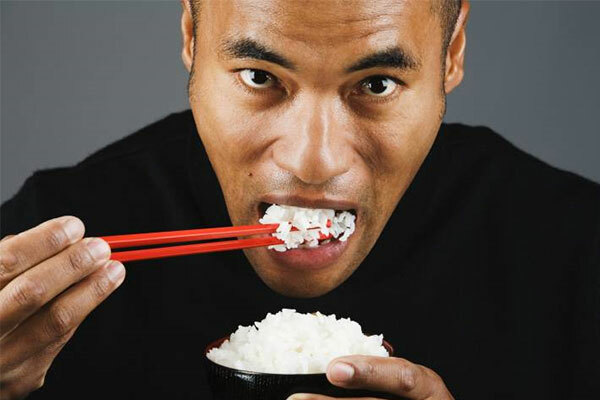 All the cultures around the world – eat WHITE rice, not brown — Asians, Indians, Latins, Greeks, Italians, etc. Anyway, I hope you get the point by now. I’m not saying that now you can eat all the rice you’d like. I’m just staying that your carbohydrates source should come from white rice, rather than brown rice or whole grains because of the Phytic Acid and Lectins. How to lower your blood sugar naturally – without changing your diet or exercise. Weight Loss secrets – Why 93% of diet and exercise programs fail. As always, thanks for reading and have a happy and healthy day!